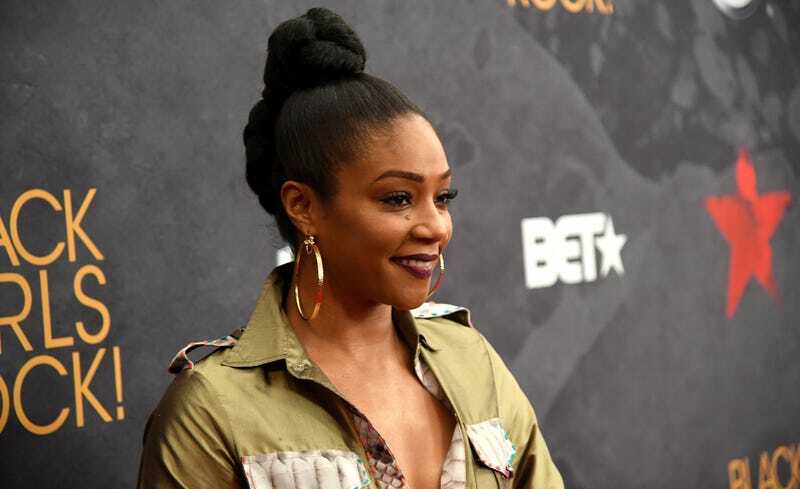 Tiffany Haddish, the break-out star of summer box office hit Girls Trip, is far along in negotiating one film, and officially attached to another, Variety reported on Tuesday. Haddish is reportedly in talks to appear in the directorial debut of Straight Outta Compton screenwriter Andrea Berloff, called The Kitchen, based on the comic book series by Ollie Masters and Ming Doyle. The New Line production is a mafia movie set in New York City (Hell’s Kitchen) in the ’70s, about the wives of gangsters who take over the family business and do exceedingly well at it. And Haddish has a role in the upcoming Universal comedy The Temp, for which she will be teaming up again with producer Will Packer. Haddish will also serve as executive producer. This weekend, Haddish became the first black female stand-up comedian to host Saturday Night Live. Reviews of the script were mixed, but it was generally agreed that Haddish stole the show and carried the episode on charisma alone. Haddish is also releasing a book in, like, three weeks. It’s called The Last Black Unicorn. Keep up.